A powerful formula that contains vitamins, minerals and herbs which leads to the growth and vitality of the hair, resulting in strong and healthy hair. 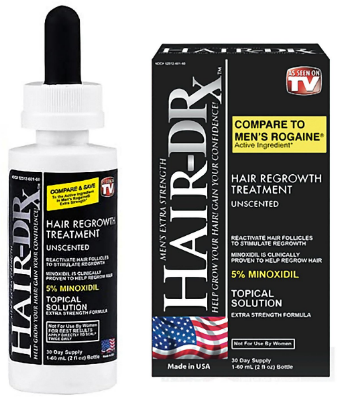 It contains the only FDA approved ingredient which helps with hair growth, minoxidil. This is a supplement so no creams or chemicals are needed. Containing 5% minoxidil, this unscented topical formula helps reactive hair follicles to stimulate growth. A shampoo that works with a concentrated patch to nourish and strengthen men’s hair. 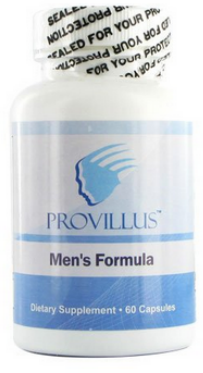 A supplement that provides nourishment for Receding Hairlines, Breakage around the hairline, excessively thinning hair, and poor (low) density. 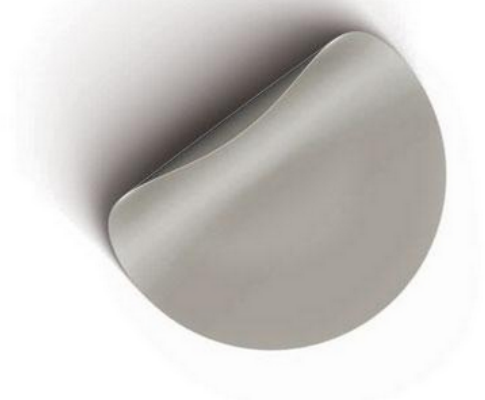 It energizes the scalp and nourishes the hair shaft to help produce stronger, thicker hair. A supplement and topical formula combination which contains the necessary ingredients needed to block the root cause of hair loss. 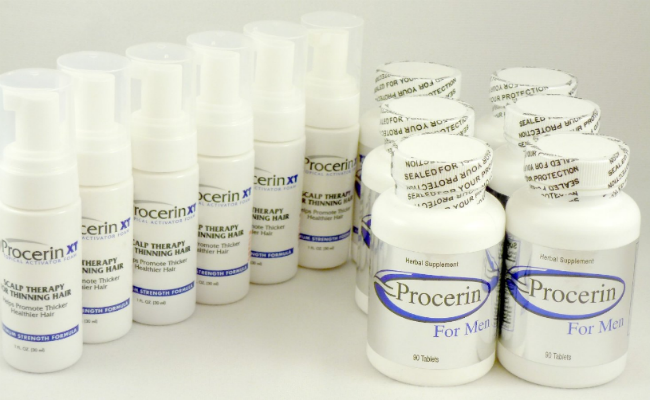 The natural ingredients in Procerin work together to promote healthy hair growth and fight hair loss. 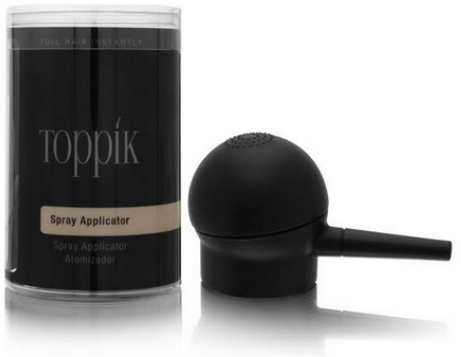 A topical, hands-free spray applicator that delivers a targeted dose of minoxidil to the scalp. A shampoo which features lupin, rosemary, ginseng, equisetum, vitamins, trace elements and honey that helps with thinning hair. 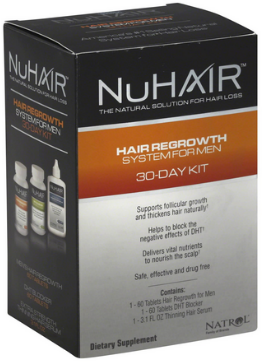 The #1 selling male hair growth supplement in the US+. It contains the exclusive marine complex AminoMar®, as well as healthy hair nutrients including Vitamin C, Zinc, Horsetail (stem) Extract and Flax Seed Extract. 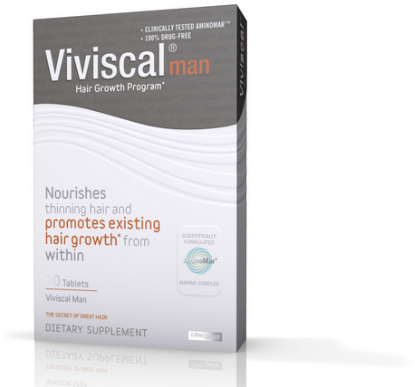 Viviscal Man hair loss pills have been scientifically proven to nourish hair from within and to promote existing hair growth. Have you heard of any of these? 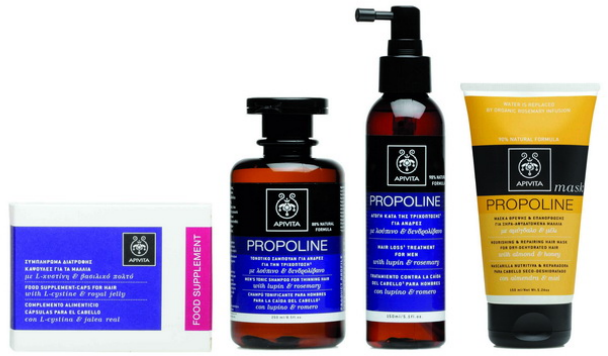 Which men's hair loss products have we missed? Let us know!